#13x: Is Atheism a Religion? Here’s the notes for episode #13x of The Meaning of Everything show. Nowadays there are atheist meetups, atheist book clubs, and even atheist churches. Is atheism becoming a religion?! 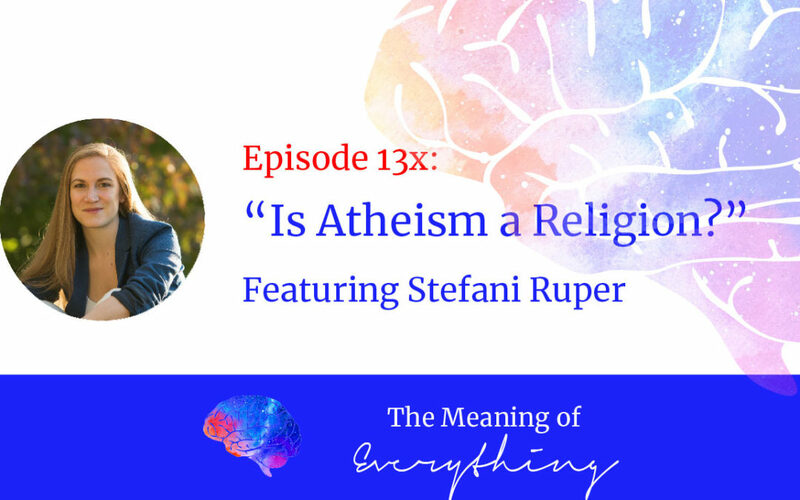 Today Stefani talks about the similarities and differences between American atheism today and fundamentalist Christianity. Ultimately, they are very different, but what they have in common is alarming and something we must pay attention to. To enter into the giveaway for a free book, take a screenshot of your review as you leave it, then email that screenshot to tmoeverything@gmail.com. This week’s winner is Agnis K!